meet the language requirements of the position. The House of Commons is committed to an inclusive workplace that ensures full and equal access to employment, development and advancement opportunities for current and future employees and encourages women, Aboriginal peoples, persons with disabilities, and members of visible and ethnic minorities to apply. You can contact the Recruitment and Selection Services team to confirm your eligibility to apply for a position. The objective of a recruitment and selection process is to attract potential candidates and select the individual who is most qualified and suited for a particular position. A notice of job opportunity is published to inform potential candidates that a process has been launched. Candidates must carefully read the notice of job opportunity, particularly the section entitled “Your Challenge”, to determine if their background matches the requirements of the position. The “Prerequisites” section includes all the requirements for performing the duties of the position (i.e. education, experience, assets, professional certification, abilities, and personal qualities). They are qualifications that candidates must demonstrate in their application/resumé and that may be evaluated during the interview or assessment phase. During the pre-screening phase, the Recruitment and Selection Services team will review information submitted as part of the application process to determine which candidates meet the eligibility requirements and have the required qualifications. The “Competencies” section indicates the competency profile against which selected candidates will be evaluated. A link to the profile is provided at the bottom of the notice of job opportunity. The purpose of the recruitment and selection process and the length of employment are indicated in the “Outcome” section. Other information such as instructions for applying as well as working conditions (e.g. work hours, dress code) and medical/physical requirements, if applicable, appear under “Essential Information”. Candidates should save a copy of the notice of job opportunity as well as all related documents. These documents will no longer be available after the closing date. The language requirements of the position are indicated at the top of the notice of job opportunity. Bilingual positions are staffed on either an imperative or a non-imperative basis. Bilingual imperative means a candidate must meet the language requirements of a position in order to be further considered in a recruitment and selection process. Bilingual non-imperative means a candidate who has not yet acquired the necessary language skills but is eligible for language training will be considered. Language training will be provided in keeping with the allowable maximum periods established to attain required levels of second language proficiency. 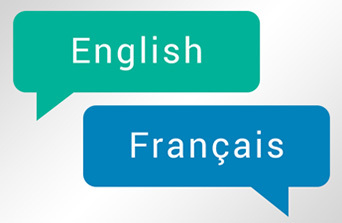 Bilingual – All or some of the duties of the position must be performed in both English and French. English essential – All the duties of the position are performed in English. French essential – All the duties of the position are performed in French. Either English or French essential (reversible) – All the duties of the position can be performed in either English or French. Each bilingual position is assigned a language profile that identifies the level of second language proficiency for reading comprehension, written expression and oral interaction that is required to perform the duties. Note: (-) means that the skill is not required. Applications must be submitted online no later than the closing date indicated on the notice of job opportunity. Candidates are responsible for ensuring that their application is received by the specified closing date and that it contains all the required information. A candidate’s resumé provides a summary of their education, training, experience, competencies and achievements. It must be brief (no longer than two to three pages), clear and accurate. Candidates must include copies of their diplomas and certifications, if applicable, and demonstrate how they meet the prerequisites indicated on the notice of job opportunity. A good resumé contains only information that is relevant to the advertised position. Candidates will have the chance to elaborate on important points during the interview phase. Once the applications have been reviewed, candidates may be contacted for a pre-screening telephone interview to further discuss their qualifications or they may be invited for an interview or assessment. When candidates are contacted about their application, they should inform a member of the Recruitment and Selection Services team of any accommodation requirement. There are a few basic points to remember about interviews: be on time, be yourself and, most importantly, BE PREPARED. Candidates can expect to be invited for an interview and/or assessment any time after the closing date indicated on the notice of job opportunity. Candidates must provide at least two references at the interview. A form will be available for submitting the required information (reference’s name, email address, phone number and relationship to the candidate i.e. supervisor, colleague, client). If candidates have limited work experience, they can ask the Recruitment and Selection Services team about acceptable alternatives. Read the notice of job opportunity to ensure they are aware of all relevant information. Familiarize themselves with the job description. Familiarize themselves with the competency profile against which they will be evaluated. Inquire about the assessment methods or tools that will be used in the recruitment and selection process. Familiarize themselves with the organization, service area or directorate. The purpose of these tools is to assess candidates’ general reasoning skills; mathematical and problem-solving skills; technical or specific job-related knowledge; and proofreading and language skills. These questions present a hypothetical situation that may be encountered in the work environment. Candidates must describe what they would do in a similar situation. When dealing with these types of questions, candidates must consider all aspects of the situation. If there are two or more possible solutions, they must briefly indicate the other possibilities and explain why they were rejected. This demonstrates that other alternatives were considered and analyzed in order to arrive at a solution. These exercises place candidates in realistic situations where they are required to demonstrate job-related competencies such as using a piece of equipment in a real work environment or delivering an oral presentation to a group. These questions require candidates to describe actions they have taken or behaviours they have demonstrated in similar past situations and provide concrete examples. Although these exercises may vary, two types are more frequently used. The first requires candidates to process letters, memos, forms and other documents that would be found in the in-basket of someone doing the job. Candidates must make decisions, delegate responsibilities and ensure that the documents are processed as required within a set time limit. The second requires candidates to explain how they would react in management situations that could potentially be encountered in a work environment. These activities usually involve the presentation of real situations or problems encountered by the incumbent of the position. 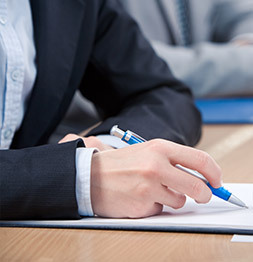 Candidates must then describe the general approach they would take to deal with the matter and the factors they considered when analyzing the case. During these exercises, members of the selection committee ask candidates to play a specific role in a particular situation, such as responding to a client who complains about a service or product. Candidates are required to take standardized tests to evaluate their ability to read, write and communicate orally in their second language. 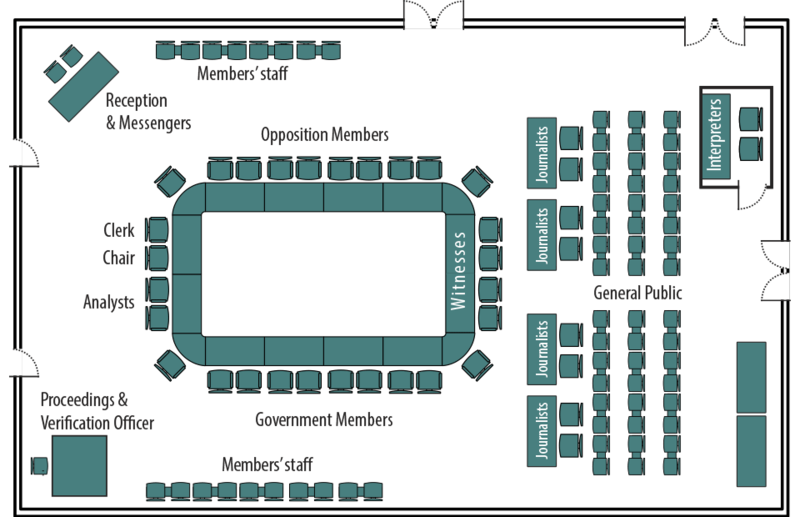 The House of Commons uses the same reading comprehension and written expression tests as the Public Service Commission. Should remember that everyone is nervous during an interview. The interview panel understands and empathizes with the candidates. Should expect the interview panel to ask follow-up questions. The role of the panel is to determine the scope of a candidate’s knowledge, competencies, experience and personal qualities. Should never answer a question unless they understand it. If the question is unclear, they should ask for clarification, or repeat it in their own words to ensure it is clearly understood. May pass on a question and answer it later, or make reference to previous answers at any time during the interview. Should take the opportunity to ask questions and request further details about the position or the process. After the interview phase, candidates will be informed of their status and whether they have qualified as part of the recruitment and selection process. The hiring manager or a member of the Recruitment and Selection Services team will discuss the employment offer and potential start date with the selected candidate.